Philly Bird Nerd : That's Why It's Called "Fishing", Not "Catching"
Biggie and I went flounder fishing yesterday on the Lady Chris out of Cape May. As the title of the post suggests, we didn't catch any fish. We basically went on a 4 hour boat ride into Delaware Bay. There were only 5 other people on the trip and it was cold and damp. We were happy to get back to the dock. 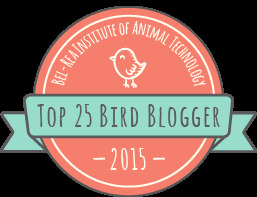 Again, why does this story get into a birding blog? 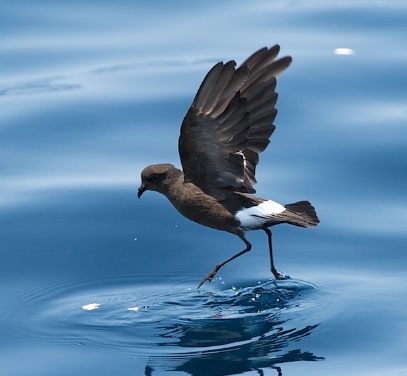 Because we didn't catch any fish, but I did manage to get a life bird - Wilson's Storm Petrel. I noticed the brown bird about the size of a Robin flying low over the water like a land bird. Then the bird looked like it was trying to pedal a bicycle on the water, then flew off again. He (or she) did this around the boat for the entire hour that we were fishing along out near the channel light house. Here is a photo from David Jones from the New England Seabirds website that shows the pedaling behavior. I didn't bring my camera on the fishing trip (dumb).